An eclectic and vast musical background is what I bring to the Academy. As long as I can remember, music has been an important part of my life. Once you become a student of music, you will discover there is so much to learn you will never run out of new and amazing material. It is a joy to teach piano. I love sharing the excitement and pride my students’ feel when they have learned well a challenging piece of music. All it takes is a willingness to practice correctly and regularly. I will show you how. 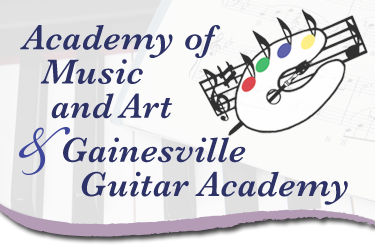 I have studied music in Gainesville with private piano teachers, Gainesville High School Band and Orchestra and at the University of Florida. My music education continued in California at San Jose State University, and Mission College. I currently hold a valid teaching certificate in the state of Florida and in the state of California for elementary education and K thru 12 Music. I was Director of Music at an elementary and middle school in “Silicon Valley” for 20 years in California. It was there I started teaching piano. I wrote, directed and performed over a hundred musicals! There was such a long waiting list for my piano class that I taught another teacher my method and helped her set up her piano instruction business. I also set up a program at the school for all classes to learn basic music skills using Suzuki keyboards in a group setting. After moving back to Florida, I was hired at Lake City Middle School as their Choral director. As of 2012, I will be retiring from the Columbia County School District and will be opening more space for new students at the Academy. I know beyond any doubt that learning to play music makes you a happier and more intelligent person. It opens your eyes to a world that those who do not play cannot enjoy. It is a lifelong gift!